Being able to serve your customers in their native language can make the difference between a successful sale and an awkward attempt to communicate using gestures. 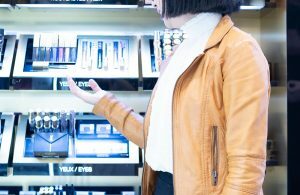 With the growth of Chinese tourists in Europe, many sales assistant and shop owners are finding it increasingly hard to understand the needs of their customers, and the conversations usually end with the picture of a desired product or an incomprehensible translation of the name of a brand. Hiring full-time staff can become a complicated and expensive matter and very often, finding the right candidate to fill your vacancy is harder than expected. What if you could just decide when you need a native speaker sales assistant and have it ready to help you in your business? What if you would like to hire someone on a weekly or maybe monthly base, what if you cannot afford a new employee and wish to have someone helping you only during the Chinese New Year holidays, or maybe during your busiest months in summer? That is now possible. We offer our partner stores the possibility of having Chinese native speaker assistants to help them in their everyday business at their request and on their terms. You heard from a friend that a large exposition which will attracts thousands of Chinese business men and women will be hold in your city and you want to be well-prepared for it? Just give us a call, we will choose the candidate who best fits your store and arrange everything for you. All our employees are trained by us to provide the highest customer service experience and give all necessary information about tax refund and customs procedures. They will dress your store uniform and act as sale assistant to eliminate any sort of misunderstandings and communication problems and you will be sure to offer you customers the service they deserve.